National Hedgehog Day tends to live in the “shadow” of Groundhog Day. And yes, there is a difference. You know those cute little balls of joy that have taken social media by storm? We are talking hedgehogs! Thanks to Instagram, these little babies have grown massively in popularity and now have an entire day dedicated to celebrating them. Want one as a pet? That’s a thorny subject. Read on to discover what it’s like to bring one of these cute creatures into your home. People may not have known much about hedgehogs prior to this, but that all changed with the introduction of the famous video game. This marked the day that groundhogs officially replaced hedgehogs. They love hedgerows, after all. Other names include urchin and hedgepig. Check your hedgehog's shadow — if you're lucky enough to own one. They love vegetables, crickets, cooked meats, and fruits. Not everyone can pull this off, but if you want one — and they're legal in your state — make sure you can care for it properly. They show a wide range of emotions. Happy, shy, calm, feisty. Hedgehogs, like other pets, will definitely let you know how they feel. All these little creatures require is water, food, love, and warmth. Because they produce very little dander, hedgehogs make great pets for people who typically are prone to dander allergies. We don't suggest leaving your little hedgehog alone all the time, but since they are solitary creatures, they will not get depressed if you're stuck at work for the day. Just be sure to give them attention when you can. They used hedgehogs before groundhogs to figure out when spring would arrive. So you can thank hedgehogs for Groundhog Day. It depends on where you live. They are not legal everywhere. The upside? They sure are adorable. Plus, they're quiet. The only noise they tend to make is a cute purring sound. 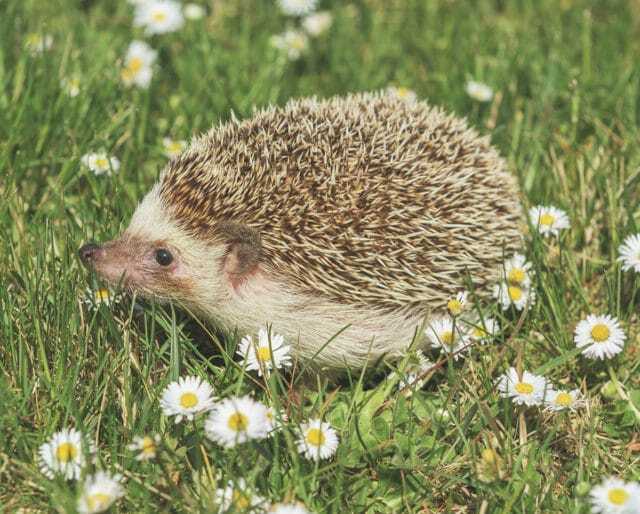 However, having a hedgehog as a pet is something that takes dedication and care, as they are not your typical house pet. Make sure to do your research! Social media has voted. Hedgehogs are way cute!